Quote of the day. 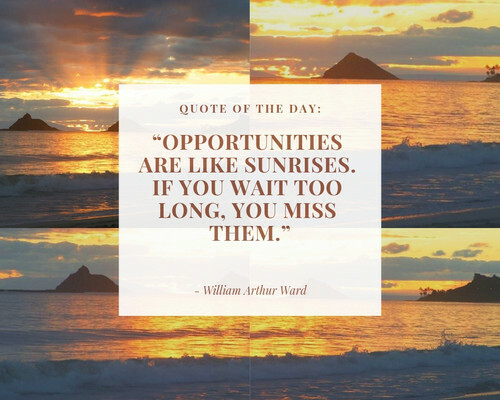 “Opportunities are like sunrises. If you wait too long, you miss them.” - William Arthur Ward . HD Wallpaper and background images in the One Tree Hill Quotes club tagged: wai lana wai lana yoga quotes sayings life quotes. Haley "I love every version of you"